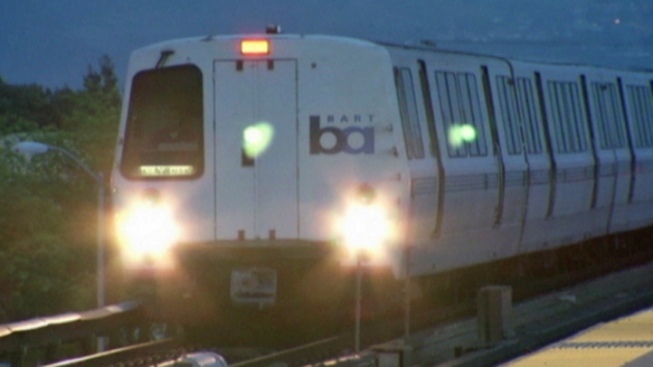 File image of a BART train. BART has been making some changes recently. With new train cars tested, cameras fitted and clipper card-only entrances installed, it seems that the transit company is starting to catch up with technology. But one BART customer thinks the company needed one more upgrade. On July 19, the transit agency tweeted out a station map that had been redesigned as “MarioBART.” The concept was created by Dave Delisle, who revamped the map with the classic Nintendo characters and warp pipes. While the design pays homage to the older version of the video game, fans of all ages will recognize the set up that is going viral on social media. So far, the tweet from BART’s account has gained more than 6,000 likes and nearly 3,000 retweets. Delisle explained on his website that his creation was inspired by the Rainbow Road Track from Mario Kart. He thought the color scheme was very suiting when mapping out the BART stations. While this is not the next official BART map (although, maybe it should be), fans can purchase their own copy of the design to hang in their home.